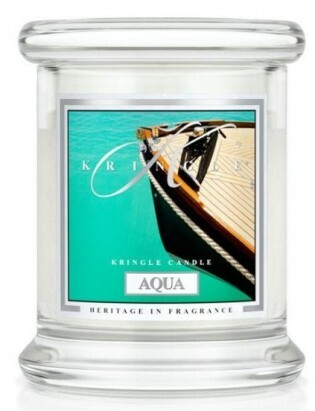 Aqua is next up to review in Kringle’s masculine line of candles I’ve been interested in for a while. I’ve always been a big fan of masculine fragrances… they’re just so fresh and happy, and Kringle has quite the selection. Have you noticed that? A huge selection!! Mmm!! Smelling the wax, I couldn’t stop myself from smiling. This candle smelled awesome!! I smelled it all, the citrus, bergamot, musk and sandalwood and all blended so perfectly, you couldn’t pick one apart from the other if you tried. Basically, this candle smelled like a yummy masculine aftershave and a scent I couldn’t WAIT to have wafting through my living space. I lit this candle in my master bedroom to start out and soon after ended up moving it to a medium size room. This candle could have held it’s own in a larger room, but it wouldn’t have been as strong, and I wanted maximum strength. 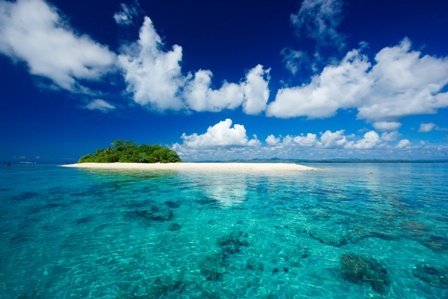 Once moved, the aroma was much better and as I sat in the room smelling the fragrance, I was trying to think of the right words I could use to describe it and kept coming back to one word – marine. Kringle was right to use that word in the description because although the aroma was definitely masculine, it was very fresh but also sweet and had a soothing quality to it. This isn’t a scent I could imagine my husband wearing out on the town… it was more of a home fragrance kind of scent. It was very soothing, sweet and spa-like. I hope that makes sense. Strength – I would rate this candle a 10 out of 10 in a small room. 7/10 in a medium room and a 5 in a larger room. I think this candle is definitely more suited to medium to smaller rooms for the best scent throw. I loved Aqua from Kringle and can totally see myself purchasing this fragrance again. It’s a great bedroom/bathroom scent to really liven and freshen up a room. Every time I walked into my guest bedroom, I inhaled deeply and smiled. It’s a happy scent. Definitely check out Aqua if you love fresh masculine scents. Out of all the masculine scents I’ve tried from Kringle so far, this has been my favorite.